Keiji Inafune gave us Mega Man, one of gaming's immortal heroes and mascot for Japanese publisher Capcom. But then Inafune had a seemingly tense break with his longtime employer over creative differences. News of his new companies Comcept and Intercept followed his departure and the first new game from Inafune just went live for iOS and Android in Japan. 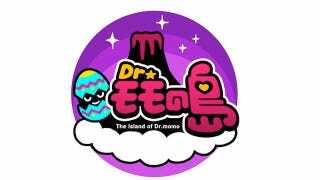 Dr. MoMo's Island is a mobile title published by Japanese outfit Gree that appears to mash up the cute critters of Pokemon with classic sci-fi-novel-turned-movie The Island of Dr. Moreau, if the scientist were changed into a kawaii-obsessed teenage girl. It's not an action title like Mega Man, Onimusha or anything else Infaune worked on at Capcom. Where Dr. Momo's Island seems like it's crafted to capitalize the social/mobile experience that consoles don't deliver, the next game from Intercept—action/adventure title Kaio: King of Pirates—might be more in line with Inafune's work on the Blue Bomber. That 3DS game should be out sometime in 2012.